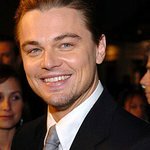 Leonardo DiCaprio always has time for the environment, and now he can prove it with his new appointment as Ambassador for watchmaker TAG Heuer. The 34-year-old actor has agreed to take over the role from Brad Pitt, and will wear a US$4,000 Carrera Day-Date watch in new print ads for the company this spring. Proceeds from the photoshoots will go to some of the major environmental causes DiCaprio supports, such as the Leonardo DiCaprio Foundation – a non-prof he established to foster awareness of environmental issues through participation with organizations such as Natural Resources Defense Council, Global Green USA, the International Fund For Animal Welfare, and National Geographic Kids. DiCaprio has made several films to educate the public about environmental issues, including 11th Hour. He also serves as the Honorary Chairman of the Board of Directors of the Pacific Palisades-based Reef Check Foundation. Last year he joined forces with Swiss watch manufacturer Jaeger-LeCoultre to confront global environmental issues and promote eco-friendly causes by creating the “Time to Care” program to benefit the Leonardo DiCaprio Fund at the California Community Foundation.